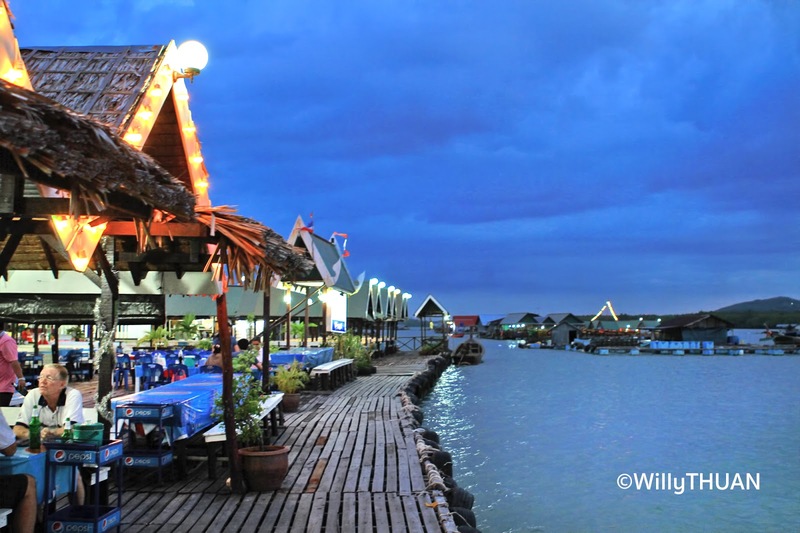 Where is Phuket Floating Restaurant? 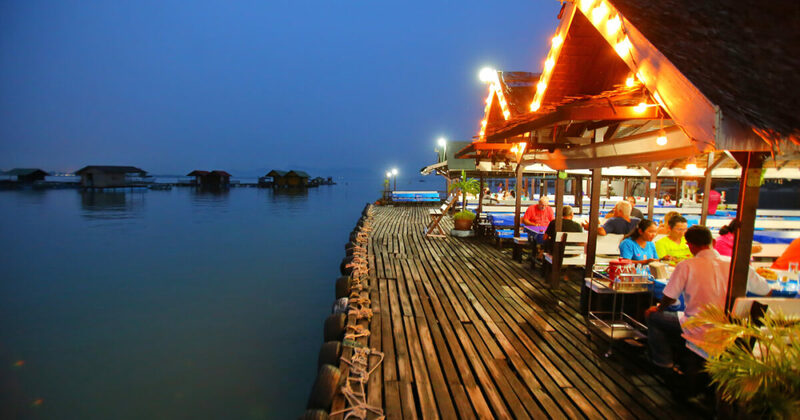 Phuket floating restaurant ‘Kruvit Raft’ is one of the most original ways to enjoy dinner when you get tired of your ‘Same Same but Different’ Thai food restaurant. 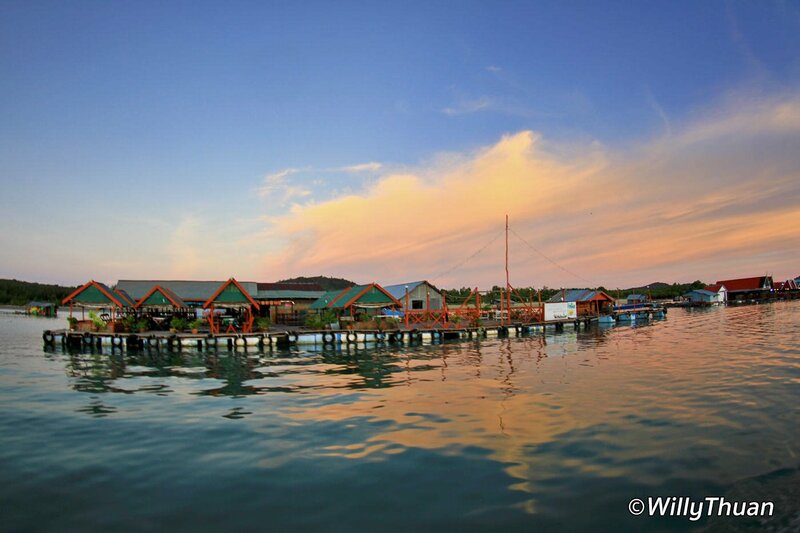 Try this unusual but popular place known as ‘Kra Chang’ (‘fishing basket’), an assemblage of several restaurants floating between Phuket Island east coast and Maphrao Island. 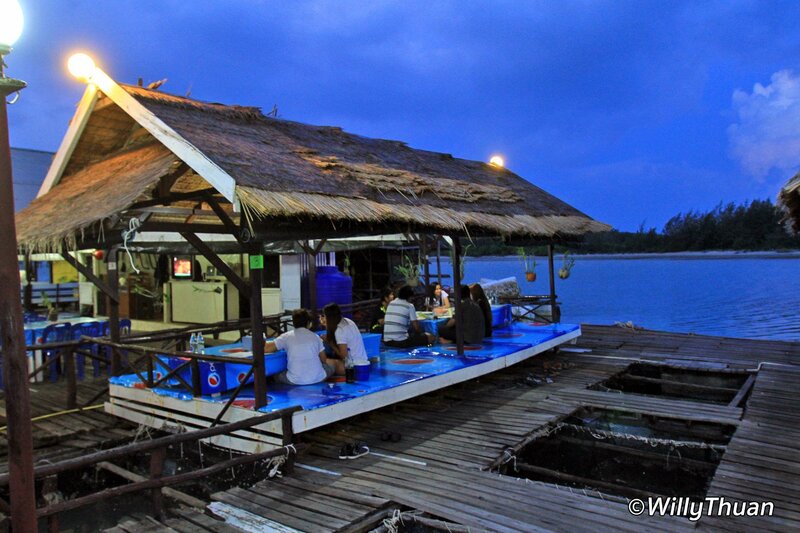 It only takes five minutes free ride on a longtail boat to reach this floating restaurant. 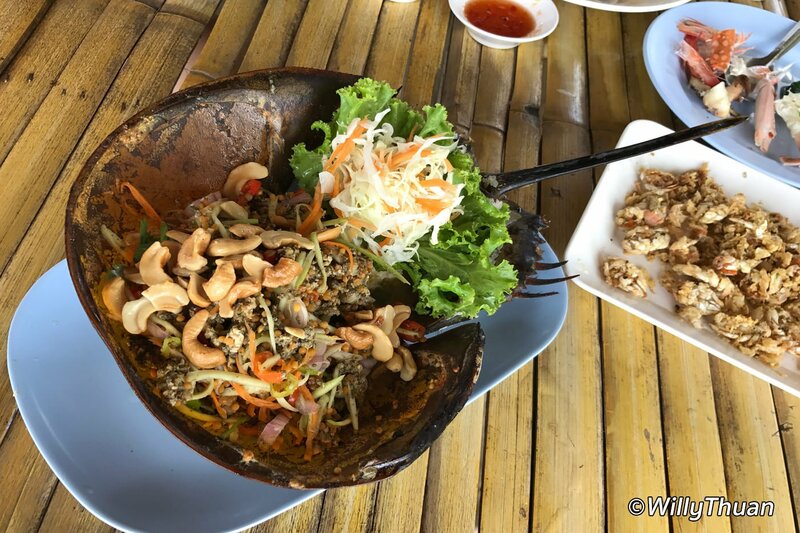 Our favourite, called ‘Kru Suwit’, is an excellent place for a lazy lunch in a cool breeze while contemplating the water around, or perfect for a dinner when you have visiting friends from overseas who think they saw it all. Nothing sophisticated here though, several large wooden rafts are connected with thatched roofs over basic tables. Simple, relaxing, unusual and great seafood. 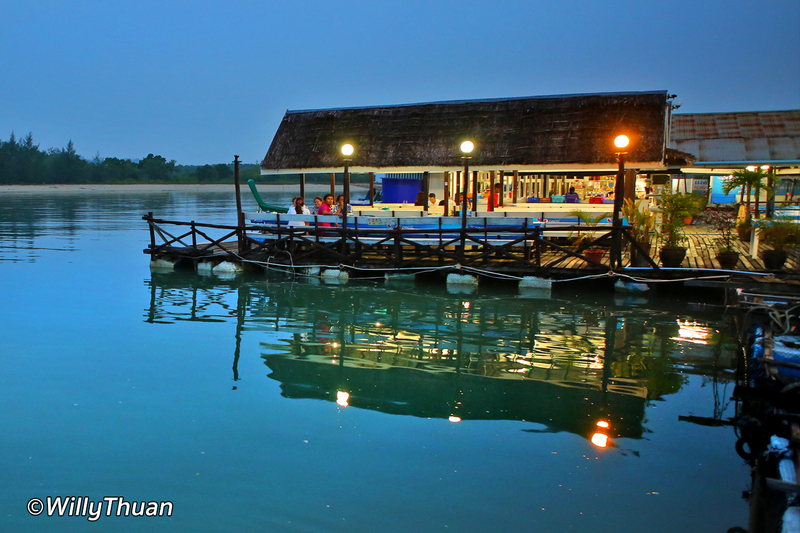 Kru Suvit is getting busy but there is another popular floating restaurant nearby called Bang Mud Seafood. So what’s so special about Kruvit restaurant apart being floating? Walking around the restaurant will reveal the way they keep fresh seafood: Fishes, crabs, prawns and lobsters are all kept in nets held between each raft. Feel like a grouper? Just point at the big one over there, and it’s in your plate within minutes. It’s also the source of entertainment for many guests, adults and kids alike. Ever saw a ‘Blowfish’ inflate itself in seconds like a spiky balloon? No? Then staff will be happy to scare the poor guy for you to take a photo. If this blowfish is what is known as ‘Fugu’, I would not recommend to order it. Some of the fishes kept there seem to be mostly for customers’ curiosity, like a dozen of moray eels and some other tropical fishes. I doubt anyone would eat that pair of leopard sharks swimming in circles in a net, maybe we should ask them to let them go. On the real menu, King Prawns are huge and served in many ways. Local oysters are also a curiosity if you are not aware of their size. These oysters are enormous; you’ll have to cut them in two or four pieces, add fresh garlic, fresh chilli, some local herbs and a sour sauce. Pretty good once you passed the ‘oh my god this is huge’ point. Also interesting are the ‘Mantis shrimps’, known to knock down crabs with a strong kick, and also known for their high price, so remember that before ordering a dozen. Occasionally, you will see ‘Horseshoe crabs‘, known as ‘Mang Da Talay‘. They look like prehistoric ammonites, and you only can eat the eggs. Try it for fun and the photo, but it tastes quite strong. 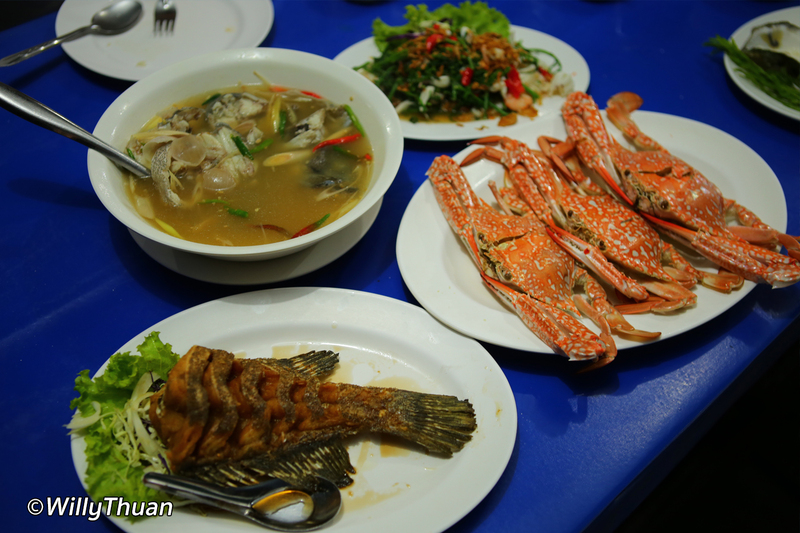 Now if you are not adventurous, you can order all the classics: Blue crabs are great, as well as squid, then fried or steamed fish is a must. 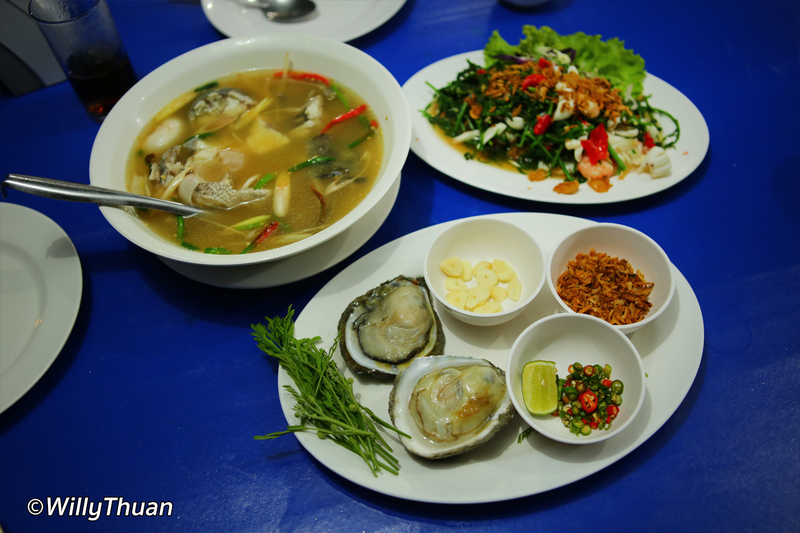 Don’t forget to order an excellent Tom Yam Goong that goes well with anything, or if you want to try an excellent but more local soup, try ‘Pla Kao Tom Towchiew’ made with fish and fermented beans. And if this is your first time in Thailand, don’t overreact when you get the funny question ‘would you like ice with your beer’? It is a favourite thing here since beer gets warm fast, and it works. Prices at Kruvit restaurant are a bit high compared to most local restaurants, but as usual, considering the complexity of carrying everything and storing food, it is understandable. 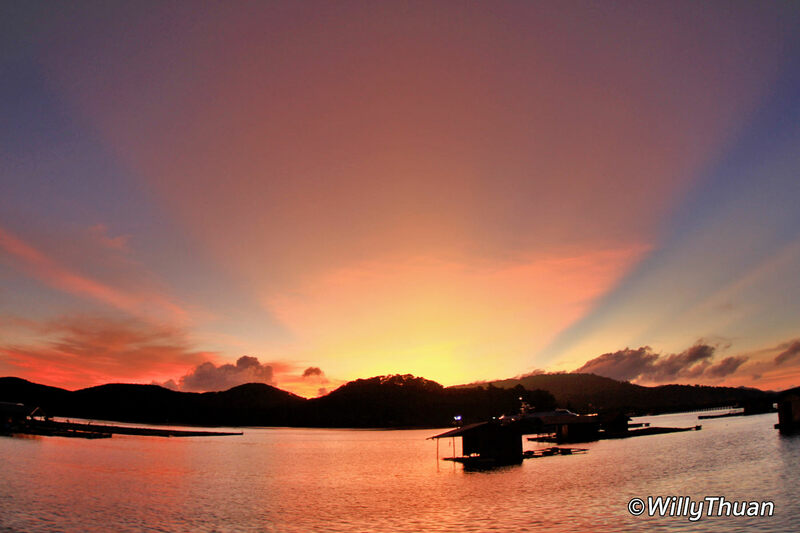 Getting to one of the Phuket floating restaurants is a little tricky if you are not familiar with Phuket, but it’s easy with Google Map. From Phuket town to the airport, the small road leading to the restaurant is right before you enter a series of curves. 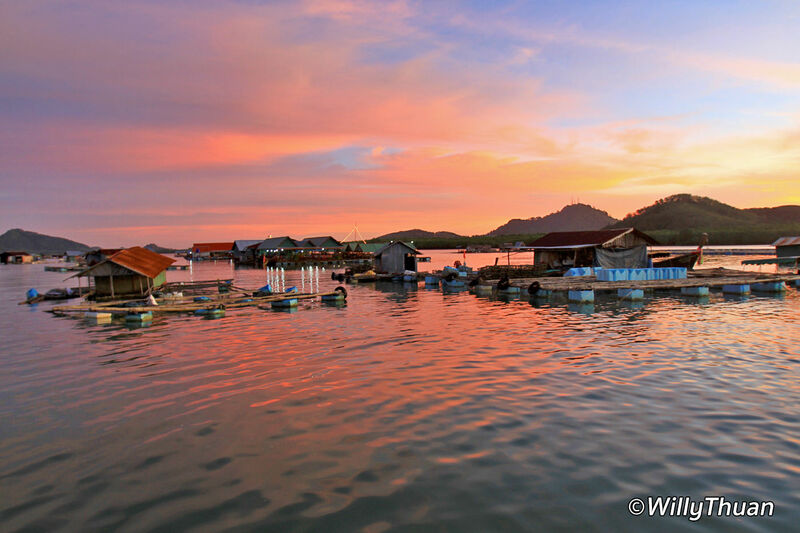 Once arrived you will see ‘Laem Hin Seafood‘ which is also very good, but not floating. 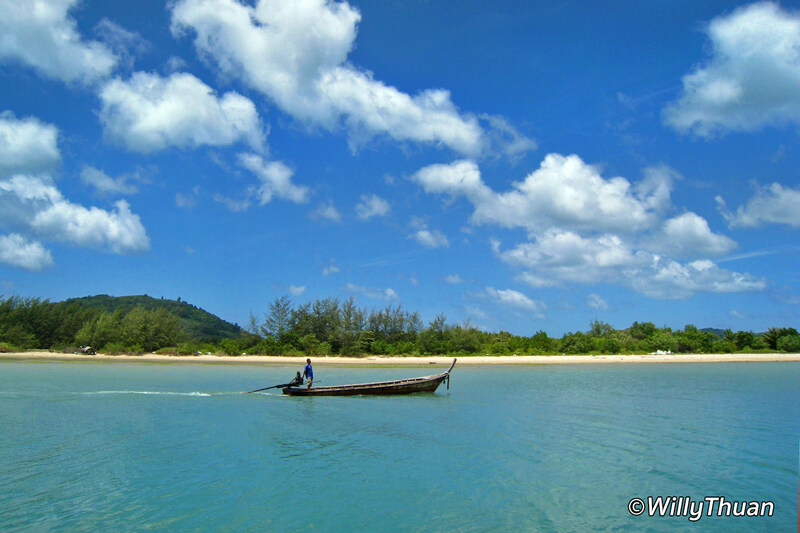 Near the parking, you will see a pier with some longtail boats. Someone is always standing by to take you there for free (but it’s always nice to tip).